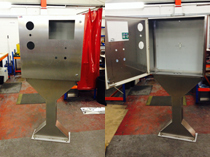 Delivering safety critical enclosures and fabrications for our clients’ customised needs means we cannot compromise on a single component. 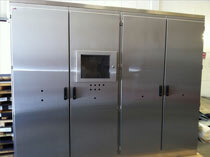 Experts in steel fabrications indEx enclosures are fast becoming a byword for the highest quality products with rapid delivery. Cost effectiveness and understanding that many of our clients must work up to SIL 3 (Safety Integrity Level) we design and build every enclosure to ensure that this is possible for them to do so. 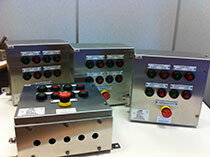 Our solutions pages have many examples of our enclosures and fabrications. If you click on one of the boxes below it will take you to some photographs, more in depth explanations and case studies for this product in this industry sector.